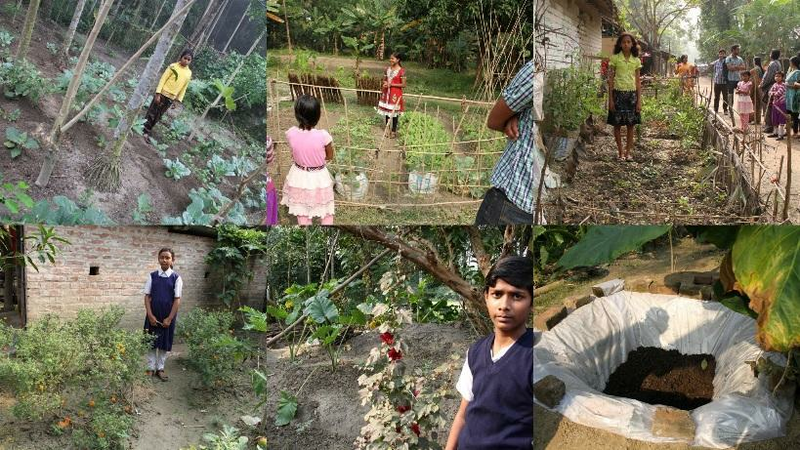 A multifaceted education project to provide need based, locally oriented, diversified curriculum for rural middle-to-high school children in West Bengal. In last 10 years, 142 schools and 104,000 students received inputs on holistic education from Swanirvar. Female literacy is 100% with no drop outs and no child marriages. Govt recognized their work with inmates at a juvenile prison. Many state officials have visited them to get hands on experiences with the goal to apply this model to other juvenile detention centers. Panchayats and local schools work together to include necessary surveys and data analysis for micro planning in the school curriculum. Marked improvement in understanding key Math and Science concepts; improvement in Bengali and English skills. What is the impact of $1000 on this project?